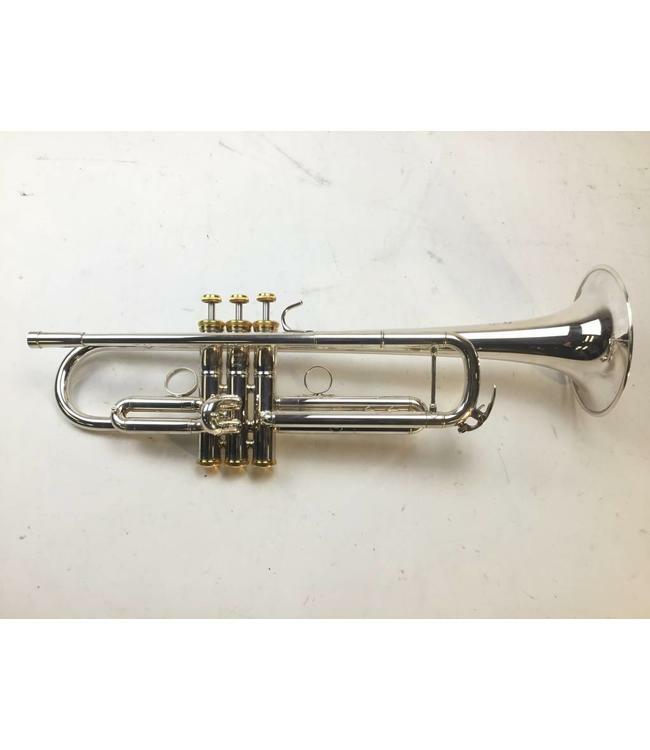 Used Yamaha YTR-8335R 20th Anniversary model reverse leadpipe Bb trumpet in silver plate with gold trim. This is in good overall condition with minor signs of use throughout, not affecting playability. Comes with original double case.